At the beginning of your natural hair care journey, spend some time getting to know your hair, sans product. It may have been years since you last saw your hair in its natural state, and you might have no idea how to take care of your textured tresses. But before you start following the same regimen as your YouTube hair idol only to receive less-than-great results (or worse, spend your hard-earned dollars on a bunch of different hair products and tools that might not even work for you), take some time to learn about your mane: its natural curl pattern, its texture, how it looks/feels, etc. Once you know more about your natural hair, you’ll have a better idea of what it needs and how to care for it. One way to do this is by using the infamous hair typing system. 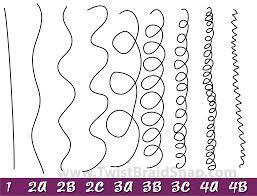 In a nutshell, hair is categorized as a specific type as shown below. Hair typing can be useful when trying to figure out what products/methods might work on your hair (I personally use it to have realistic expectations of what my hair should look/feel like), but some say that it contributes to a hierarchy, even among naturals, that straight hair is “better” (which is problematic in itself, but I’ll save that for another post). But there are ways to learn about your curls without subscribing to the hair typing system, and they can be just as helpful. I made major changes to my regimen after I learned two things: my hair porosity and my strand thickness. 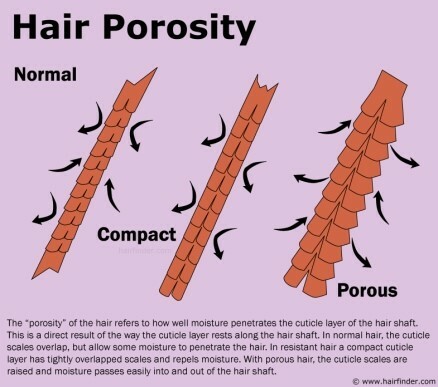 Hair porosity refers to how well your hair retains moisture. To figure out your hair porosity, do the strand test. Take a strand or two of shed hair and put them in a cup of water. If your hair sinks quickly, you have high porosity hair. If your hair takes a while (more than two minutes) to sink, you have low porosity hair. If you’re somewhere in the middle, you have average porosity. Low porosity hair doesn’t lose—or accept—moisture easily. In contrast, high porosity hair quickly takes in moisture—and loses it just as fast. Figuring out my own hair porosity (low) was a big game-changer for me. It explains why the heavy shea butter leave-in that I thought would be perfect for my post-wash 4C strands ended up just sitting on my scalp, and why my hair takes so long to dry after a wash. (Side note: it also explains why relaxers, when I used to get them, always took forever to work—low porosity hair takes more time to process.) I now know to apply product less frequently, and not to be as heavy-handed when I do, in order to avoid build-up. Another feature of your hair to be aware of is its thickness. When I say thickness, I mean the diameter of each individual hair shaft (as opposed to the density of hair on your entire head). Thickness ranges from fine to medium to coarse. To figure out your strand thickness, look no further than your nether regions. 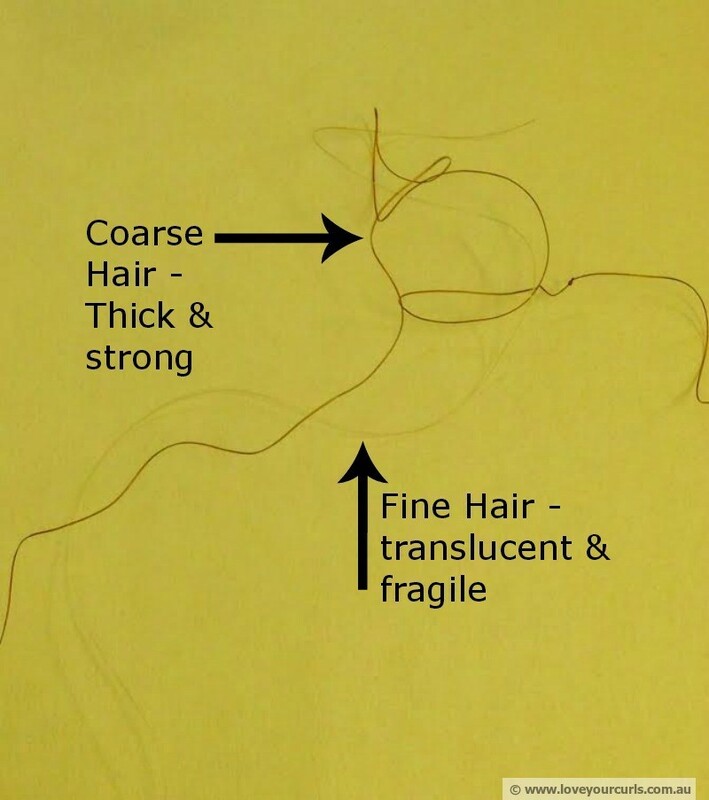 Pubic hair is naturally coarse, and comparing it to the hair on your head can give you a better idea of your strand thickness. Because their strands are thicker, naturals with coarse hairs can use heat and/or color with less risk of damage. Naturals with fine strands, though, need to treat their hair more delicately, as it is more prone to breakage when handled roughly. Check out this CurlyNikki article for more information on strand thickness and what it could mean for your regimen. I used to think that my hair was naturally coarse (when in reality it’s fine), and so would detangle very roughly (and often with a small-toothed comb, causing breakage galore), because I thought my mane could handle it. Now I know I need to be MUCH more gentle. Learning my strand thickness has also reinforced my decision not to use heat, since fine hair is especially susceptible to heat damage. And I now use lighter sealants so as not to overwhelm my fine hair strands. You can start experimenting with products once you’ve got the basics down, but for now, learn more about (and enjoy!) your hair in its natural, product-free state. Understanding key features of your hair, like its porosity and thickness, is a good start to creating a regimen that works for you.